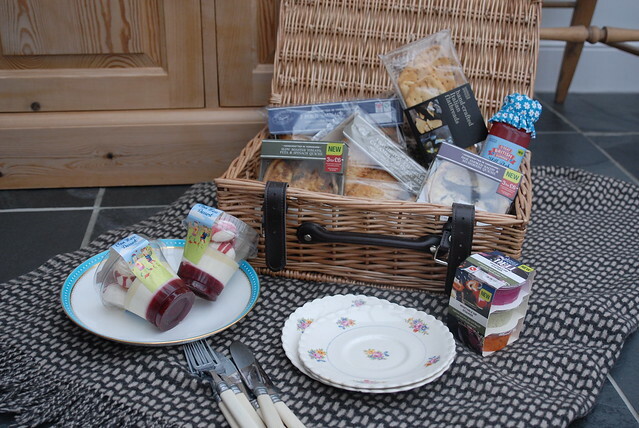 When the sunshine comes out, there’s nothing more traditionally British than having a picnic. We don’t really get that much nice weather so seems only right that we make the most of it. While the weather’s been behaving itself at the moment, me and the guys at work have been having makeshift picnics, taking our lunch outside and sitting on one of the grassy banks overlooking the Tyne. It’s become something of a routine for sunny days. 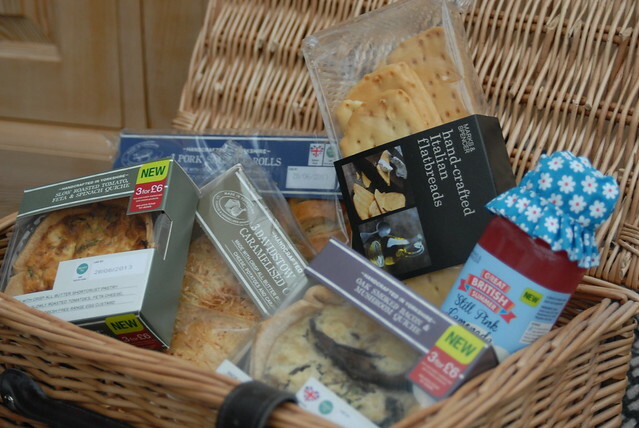 So when I got an email from the lovely folks at M&S, asking how I’d like to try out some bits and pieces from their picnic range, I thought it seemed only fair to share the treats with the guys. Basically, this Saturday M&S are planning a picnic-come-treasure-hunt in Newcastle. There’ll be clues going out on their twitter feed throughout the day to try to lead people to the picnicking spot and the first to arrive there will get a free picnic for four people! To celebrate, they thought it’d be nice to send up some of the picnic range to sample. And although we’ve got our Precept picnic planned for tomorrow, I stopped by my local M&S tonight to pick up my hamper of goodies and couldn’t resist sharing a few photos. M&S food is always pretty spectacular so I knew their picnic range wouldn’t disappoint. Offering a selection of old picnic favourites like quiche lorraine and sausage rolls (but posh sausage rolls of course, I mean this is Marks and Spencer…), alongisde more exotic snacks like Moroccan style spiced lamb pastries and crisp flatbread with beetroot and mint dip, they’ve got something for everyone. Being a big fan of trying everything, I much prefer having little picky bits so picnics are always a firm favourite of mine. 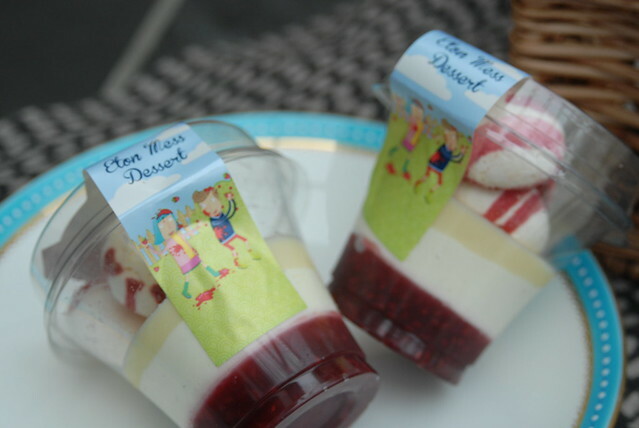 The only trouble is, when I picked up the samples tonight there was an odd number of portions of Eton Mess! So to save arguments tomorrow, I shared one with my mam and gave a couple to my brothers.. I’m sure the guys at work won’t mind too much. The little pink lemonade you can see popping out the basket was an impulse purchase when I was collecting the items too. But I mean look at it, it’s wearing a little hat! How was I supposed to refuse such a cute gimmick?! So North East readers if you want to try and follow the clues to find your way to the picnic, follow @marksandspencer, use #PicnicTreasureHunt and keep your eyes peeled on Saturday!